Gaslamp Games got off to a running start in 2013 with Dungeons of Dredmor, a roguelike RPG that won high praise for its well-oiled combination of complex mechanics, humorous writing, and total unpredictability – even among other games built around randomly generated content. 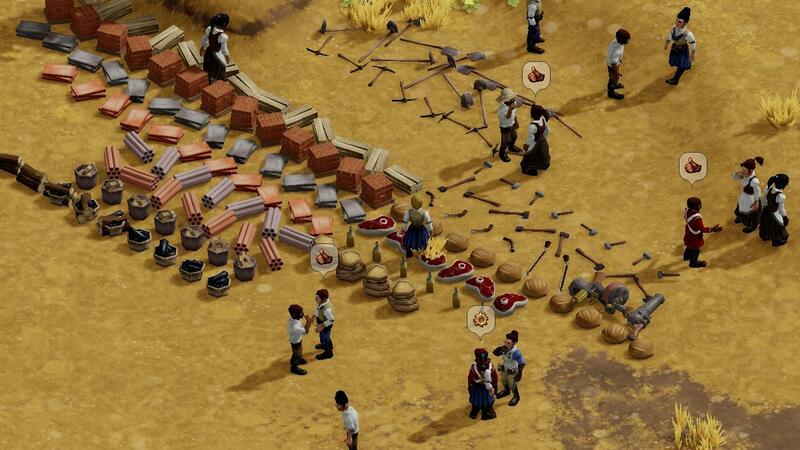 Those same elements appear to be at work in the small Canadian studio’s next effort, Clockwork Empires. 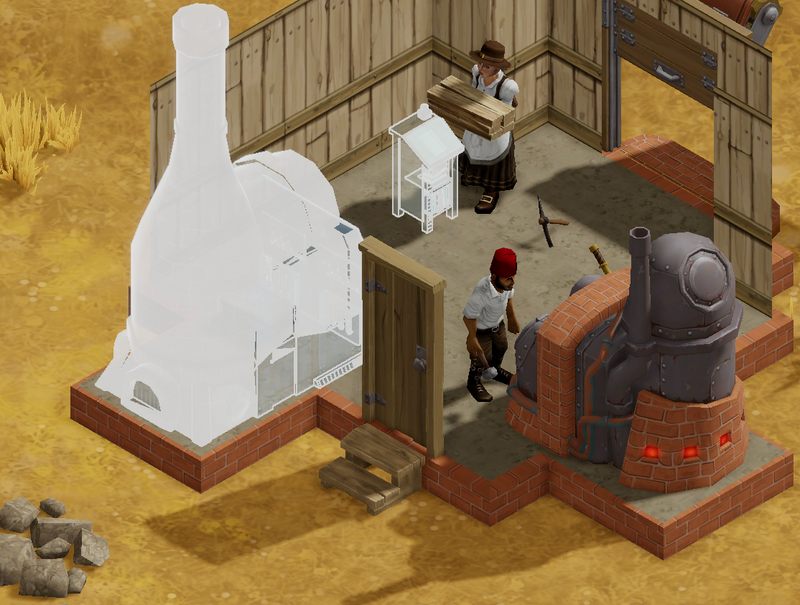 A colony-builder that’s colored in shades of The Sims, Clockwork attempts to set itself apart from other games of this sort by leaning heavily on the zanier qualities of its steampunk-inspired alternate universe. Utopia or sociological experiment? There’s no story in Clockwork Empires beyond the basic setup: guide a group of settlers as they build a colony in a newly discovered land that your reigning monarch wants to settle. Whatever happens from there is up to you. The settlers are never under your direct control; instead, you issue work orders – covering everything from erecting a building to patrolling the settlement – that the people act on to the best of their abilities. Your particular story writes itself as life in your odd little community unfolds. 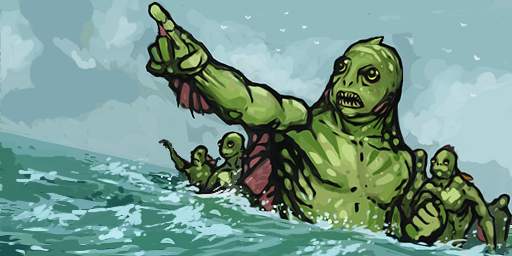 Everything from the settlers’ individual inclinations – their likes, dislikes, motivators, political leanings – to the surrounding world is randomized, so you might establish your settlement with no problems and find yourself with a happy king… or you might quickly find your people beset by a marauding band of fish-people. You can even choose to be a neglectful lord and then watch as the colonists chew through their meager starting supplies, then start feasting on one another. The not-quite-colonial era. The colonists in Clockwork Empires are a wacky bunch, right down to their old-timey names that feel like a Dickens parody. You can call them whatever you’d like of course, but why would you ever change a name like Muriel Cogsprocket? You get a real sense for Gaslamp’s deranged sense of humor as you thumb through individual character profiles. Not only can you get a sense of what drives these people – sometimes it’s staring at the sea, other times it’s hats – but you’re also provided with a brief text overview of their history and the circumstances that brought them to help found a colony. Your basic goal in the game is to establish a colony however you like, but this isn’t a world that we’ve ever known. The art aesthetic screams steampunk, though there’s a heavy dose of mysticism and occult influence as well. The folks at Gaslamp want to get away from what they see as the frequently sugar-coated perspective of living in colonial times by forcing players to contend with everything from hunting & gathering needs to waste disposal. 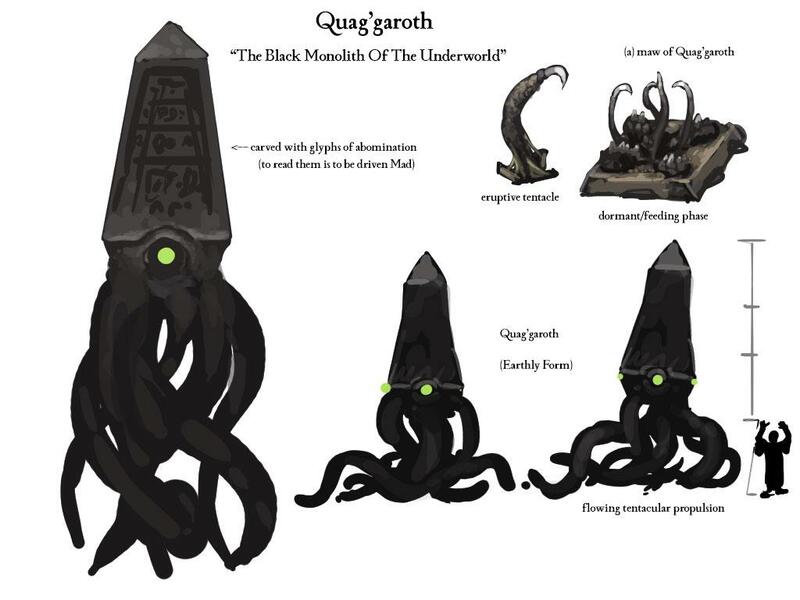 Then, to spice things up a bit, there are fish-people, Mongolian death worms, and the ever-present threat of cultists engaging in a blood ritual that releases a Lovecraft-inspired horror into the world. We the people. The individuals making up your community exist in a hierarchy, with upper-class Overseers managing work crews filled out by your lower-class. You may not have direct control over your people, but you’re able to build crews however you like. Care needs to be taken here when grouping individuals, since certain traits work against one another, creating disharmony. You might, for example, want to avoid putting a Loyalist Overseer in charge of Communist workers, since their differing ideologies will inevitably lead to conflict. 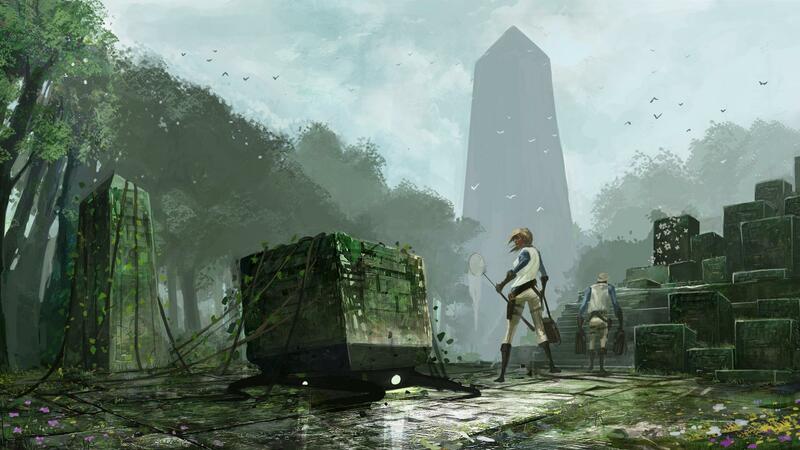 We only saw a brief slice of Clockwork Empires in a pre-alpha state, but it’s clear that there are lots of systems in place to foster a diverse – and potentially contentious – community. It’s in the later portion of the game – which Gaslamp is still fleshing out – where things start to get silly. Your settler population increases at set intervals, with pop-up messages that present you with a choice. You might be asked to pick between one Overseer or three workers, for example. Managing your community and keeping everyone happy is easy enough at first when you’ve got less than 20 people running around, but it’s harder to track the state of things as your population grows. And that’s when, if you’re not careful, some secret cultists might begin spreading their dark message. Eventually they’ll start slipping away to perform arcane rituals in the woods. Of course, you can also foster that behavior if you’d prefer to cast off the monarchy in favor of Old God worship. Your people always act according to the various things that motivate them, and it’s up to you to reinforce those behaviors or tamp them down as you see fit. 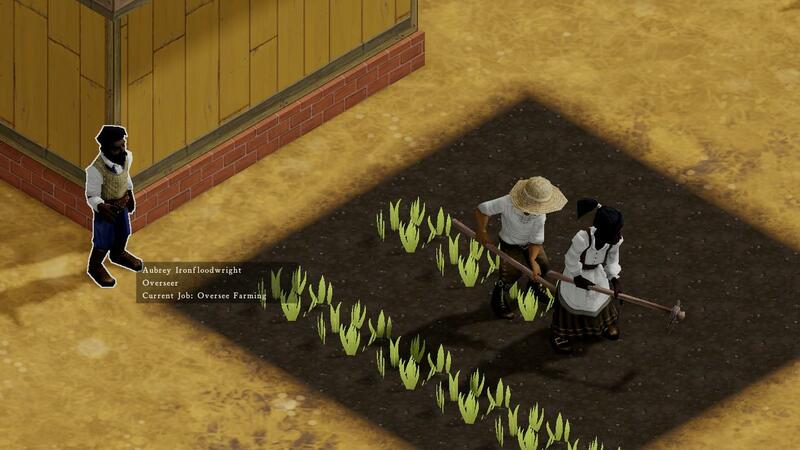 The community that you develop, however you choose to develop it, is the beating heart of Clockwork Empires. It’s governed by an interlocking set of AI systems to a degree that promises plenty of emergent possibilities. There’s no way to predict what might happen when a hat-loving Communist woodworker is forced to work with a Loyalist seamstress who likes to spend her days staring out at the sea. This is the sort of thing that it’s hard to get a sense of in a preview setting, but the depth evident in the wide variety of character traits carries lots of promise for what Gaslamp intends to be a self-functioning (if not self-sustaining) community. If I had a hammer. It’s important to establish an infrastructure for your colony early on by building all of the necessary structures – living quarters, carpenter shops, brewhouses, etc. – that your people might need to survive. Rather than plunking down static, unchanging building “types,” Gaslamp takes more of a Sims-style approach to land development. First you map out the general floorplan for a structure using your mouse. You can only draw rectangular spaces, but you can layer them on top of one another to create more unusual building layouts. Once that’s done, you’ve got to install a door or two, a number of “modules” (functional add-ons that determine what functions the structure can fill), and any cosmetic enhancements you like, such as windows, lamps, and paintings. The flexibility of the build tools allows for a more organic layout than you’d see in, say, a Civilization game, where the look of structures that you erect is pre-defined. Our hands-on time, which focused entirely on the early game, offered a good glimpse of what’s possible. The array of options isn’t as diverse as you’d see in The Sims, but it’s not inconsequential either. There’s enough customization even at this pre-alpha stage to make each space you create feel unique. Everything from the shapes of the buildings to the interior layout is at your command. It scratches at the same sort of itch that The Sims does on the home design side, except with an undeniably old-timey steampunk flavor. You can also throw something quick and dirty together, since a building’s effectiveness is really just a product of the modules inside it, but there’s enough flexibility in the building tools for the more creative types. Unassuming. There’s a very traditional feel to the (admittedly in-progress) user interface. The overall presentation screams The Sims, with an adjustable God’s-eye-view of the world and a self-governing population that speaks in non-sensical babble. It’s not quite Simlish, but you can feel that influence clearly enough. The traditional flavor extends to the visual execution as well, though there appears to be a fair amount of variety in the range of character models that generate whenever you start a new game. In truth, these familiar elements play very well against the deranged sense of humor that’s evident in the game. 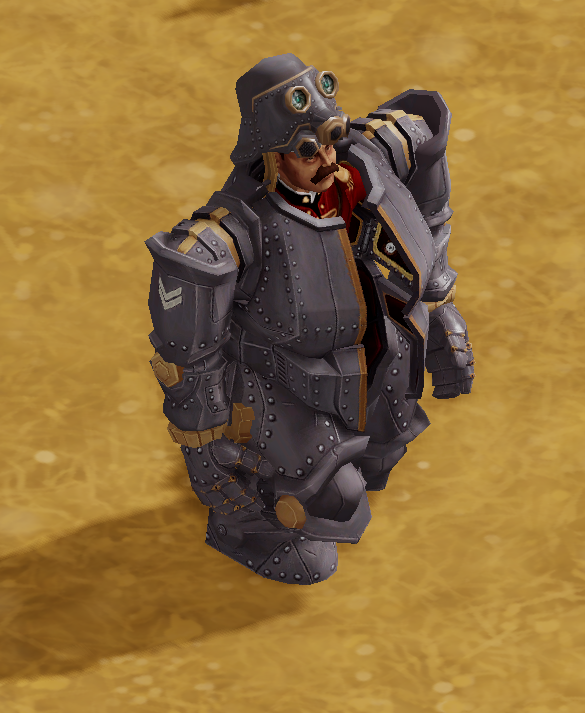 The humor is subtle, a dry sort of wit that’s very much in keeping with the Imperial-era British colony expansion that Clockwork Empires riffs on. It’s evident in the character names, in their personal proclivities, and in the twisted promise that your colony is just as likely to end up being subject to the will of Old Gods as it is to grow and thrive. It’s even possible that both of those things could happen together, at which point you become the unseen ruler of a colony that makes a regular habit of feeding its residents to ancient horrors. Gaslamp Games is looking at an Early Access release model for Clockwork Empires, with an in-progress version of the game coming to Steam sometime this spring. There’s a lot of promise in what we’ve seen so far. There’s definitely a sense of the same interests that fueled the development of Dredmor at work in Clockwork, albeit in a very different style of game. Gaslamp’s got a strong concept here, and executing on that concept in the midst of an active back-and-forth with the player community seems like the right way to go.